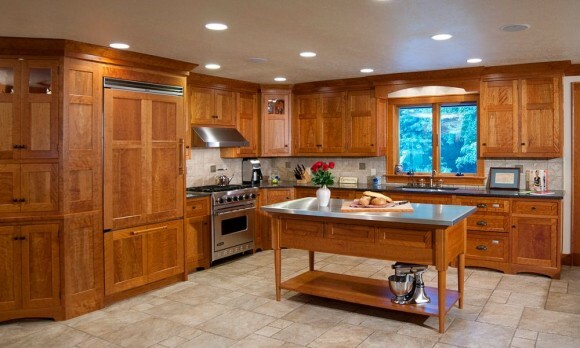 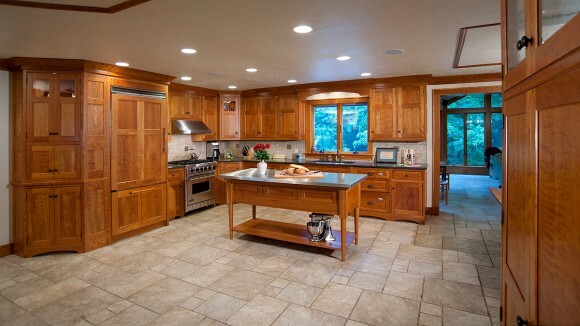 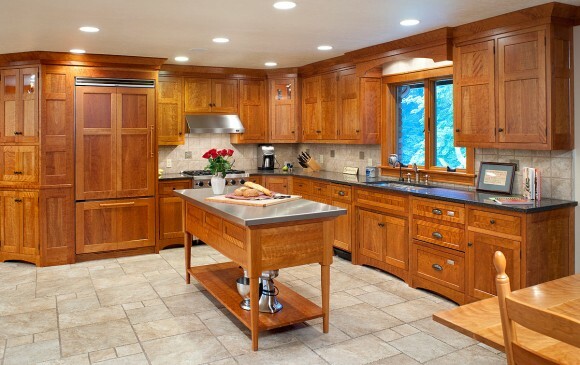 Prefer the look of wood around the perimeter of your kitchen? Try out our Arts and Crafts Kitchen, with Natural Curly Cherry Wood that extends from the cabinetry into panels that hide your refrigerator and more. Granite adorns the countertops, while a stainless steel surface covers the freestanding island.